This sweet necklace features one of my polymer clay heart pendants, which is textured in three patterns and is colored in bronze, copper, and gold with pale olive green highlights. 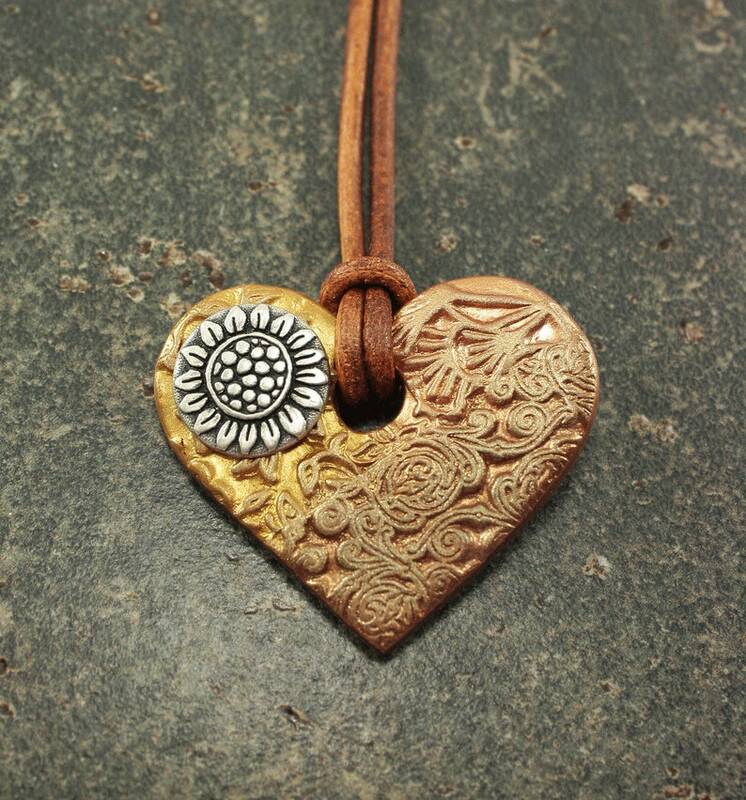 The heart is embellished with a silver tone sunflower, and the back is decorated with a lace pattern in cinnamon. The pendant is 1 7/8 inches wide at the widest point and 1 1/2 inches long at the longest point. The heart hangs from a 1/8 inch wide natural caramel brown leather necklace finished with a rhodium lobster claw clasp.